58% of the British population have active social media accounts. Our Walks Around Britain Twitter account is the most followed British walking account in the world. Our Nova Wheels Facebook account regular has a weekly reach of 100,000. 70% of Adults have ‘multi-screened’* in the past month. 52% visited a social network. 25% read and 24% comment about the programme they’re watching on social media. With our popular and diversified Facebook and Twitter accounts focused on our core brands, we give our advertisers and sponsors the opportunity to talk to the audience which suites them who are passionate about what they love. It's not all about numbers of followers here - although we do have the market leading walking Twitter account in Britain with Walks Around Britain, with over 35,800 followers - but it's just as much about engagement and targeted profiles. Our social media accounts are perfect specialist-interest channels for branded posts and tweets, which are written in collaboration with the editorial team, giving them the perfect tone of voice to fit in with our ethos. These can be to promote relevant experiences such as games, competitions, extra content, special offers etc. Of course, we make sure posts and tweets are clearly marked as advertising in order to comply with all the requirements both in the UK and worldwide. 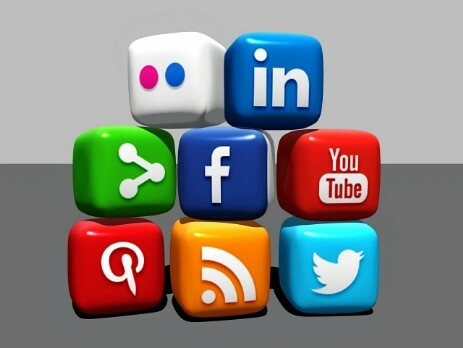 For more information about Social, contact us.